A Kickstarter campaign is two weeks and $17,000 away from its goal to create a short pilot and app featuring a female developer and address the dearth of role models in the field. 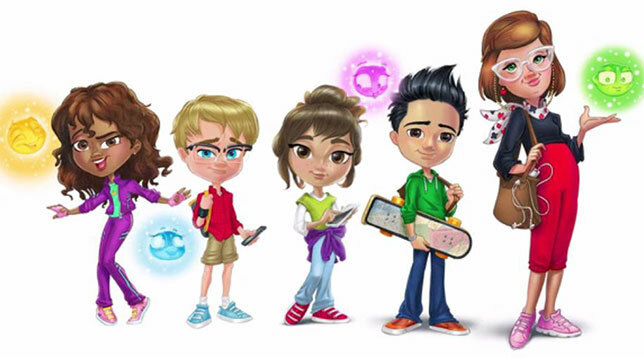 "Quinn & the Quips" stars Quinn, a "spunky" 11-year-old game developer whose emoji-like characters from her latest game escape to "cause havoc in her life and relationships," especially when they get into sugar. She's joined in the show by BFF Kate, a competitive gymnast who likes to unplug; Gage, a soccer and yoga enthusiast who writes poetry; and Quinn's nemesis, Ben, an online game streamer and reviewer who's "overly competitive." The series is intended for viewers aged 6 to 9. And while the lead character is a gamer, according to the producers, the show also intends to model the philosophy that while our devices are wonderful, so are our families and social circles. "By creating a technology-savvy girl, Quinn also has the ability to make science and technology cool, encouraging girls to enter a field where they have been underrepresented and underpaid for comparable work," the producers noted in their campaign. The campaign cited an ISACA survey in which 42 percent of women said there was a lack of role models in the field. The series is under development by Blue Socks Media, a North Carolina brand management company that produces the series "Raggs," about musical dogs who share life in a clubhouse. While commitments start at $1, those who pledge $25 or more get access to a first draft of the pilot script. Commitments of $2,500 or more can name a secondary character. The project has until June 6, 2017 to reach its $50,000 goal; so far $32,815 has been pledged by 41 backers.